Colin Thubron on the Arts of Travel Writing and …KGB? 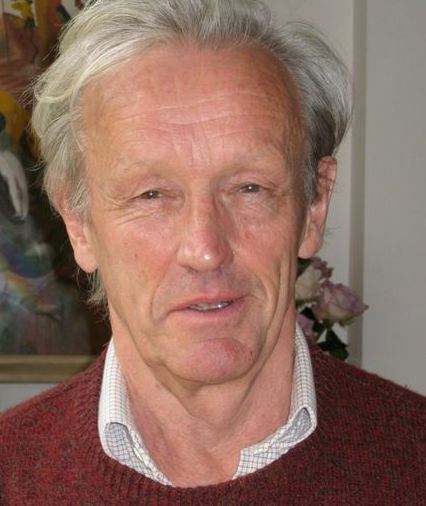 I should tell you I was clueless when Deepika Shetty mentioned Colin Thubron as her featured author on that fine Friday morning (3/10) at Ubud Writers Readers Festival 2014.So apparently he is a renowned British traver author and novelist. Having travelling in China, Central Asia, and Russia, his monumental works among other things are “Among the Russians”, Behind the Wall”, “In Siberia”, and “Shadow of the Silk Road”. Since 1960-s, he has won many prizes and awards in literary world. That was a pinch of information I got from the guidance. And I was glad I was there watching Thubron discussing a lot of things in travel writing. confirmed,”They’re human beings with the sort of problems like all of us.” But aside from differences, Thubron are also interested in searching for common elements in these people in foreign countries. experience, which reminds me of why I came to Ubud. I wanted to experience this literary festivity! Having gone to a boarding school since the tender age of 7, Thubron said it wasn’t easy as he was to constantly adapt to ever changing environment and social circles. And his early experience with boarding school helped him to a certain extent to understand the diversity of humanities. But not everyone in a boarding scholl has got the same impact on their lives. Some grow with less ability of giving empathy to others and lower adaptability to environment. Thubron also told us that there are grey areas in life, that the borderlines in the map of the world are just lines. They don’t guarantee that a country is free from other countries’ influence or impact or mixture. He witnessed directly how blurred these lines can be in real life. He found blue eyed people in Afghanistan and China as he roamed these two countries, making us rethink those stereotypes we have in our mind about nations around the world. He referred to this as “ethnic reality”. As he was asked what the most ambitious journey for him has been so far, Thubron answered,”Afghanistan.” He was amazed by the cultural complexity. Details could be the key to his being a great travel writer, Thubron stated. That said, I really wanted to purchase his book but alas, the copies were sold out during the festival. “complicated” and related to his memory. One of the oddest thing about being a published author, Thubron who is a son of a diplomat said, was when the time of release was approaching and an author has lost his interest towards the work but he still has to deal with a lot of book interviews. He’s apparently not alone because Elizabeth Gilbert also complained the same issue as well on one of her interviews as long as my memory serves. Suddenly what you wrote in the newly launched book seems stale, silly and childlike and doesn’t reflect who you really are now. But that’s pretty much normal because that means we are evolving. Not everyone can be a travel writer, I guess. You need to be single or if you’re married, you have got to have a very understanding spouse. At least that’s what Thubron – who is childless – told the audience. His wife is a scholar and his being a travel writer who enjoys nomadic life style seems to be the result of compromise between the two. I was lucky enough to ask one question for Colin Thubron on what country he considers the most challenging or interesting to write about as a travel writer in the future. I ask if North Korea would qualify, and he nodded. He argued as soon as a closed country like North Korea can be more open and accessible to foreigners, he won’t mind going there and write about it.